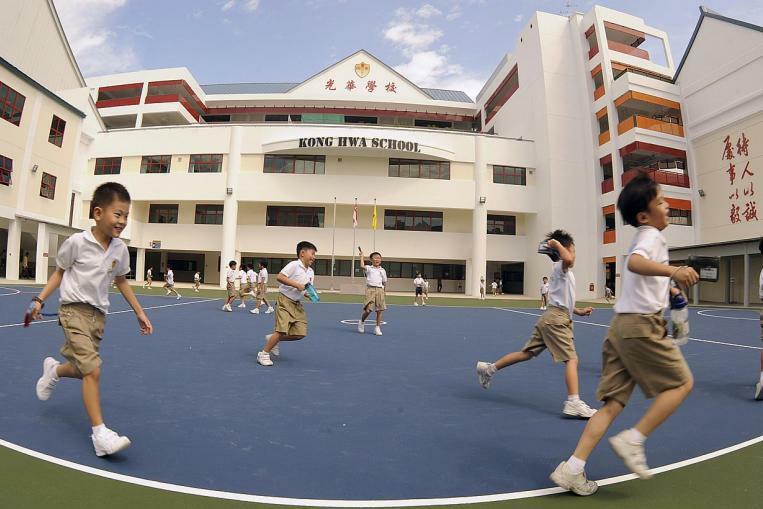 ​Founded more than half a century ago, Kong Hwa School has just celebrated its 60th Anniversary in 2013. Our School motto, “Sincerity & Perseverance” has always been the guiding principle for all Kong Hwaians. As a school alumnus, I too believe strongly in the importance of inculcating a strong moral character in our pupils. As a SAP school with a rich Chinese culture and a strong focus in bilingualism, Kong Hwa strives to provide an all-round education for our pupils. We want to bring out the best in every Kong Hwaian, build self-confidence, and inculcate in him sound moral values with a passion to learn and to serve. A child’s first step begins in the home and the home helps to shape the child’s initial mindset. In Kong Hwa, our staff works with the family to provide a conducive environment so as to positively sharpen our pupils’ morally upright character. With our school motto as our foundation, we want our pupils to serve others with sincerity and to learn with perseverance. Sincerity must prevail both in school and at home. At home, our pupils must be filial to their parents, treat all elders and siblings with respect, love and harmony. In school, our teachers will be the role models to our pupils, guiding them on how to build a strong rapport with each other based on sincerity and respect. Learning is a lifelong process - six years of primary education is only but the start. Our pupils have a long way to go and they need to persevere to overcome whatever obstacles that comes along their way. With the continual support and encouragement of our parents and the patience guidance from our teachers, our pupils will not be afraid and will persevere to cope with each and every hurdle that comes their way. Hence, I urge all parents to work together with our staff to help inculcate the virtues of sincerity and perseverance in our next generation. Together, we will make the motto “Serving with Sincerity, Learning with Perseverance” live in every Kong Hwaian. Kong Hwa has many 60 years ahead. I strongly believe with the support of the Ministry of Education and our Singapore Hokkien Huey Kuan; with the contributions of our Alumni and Very Supportive Parents; with the strong faith of our parents and our staff, we can all work hand-in-hand to create a brighter tomorrow for our future Kong Hwaians! Wishing all a happy & fulfilling year ahead!